UPDATE: Steam Summer Sale is over. But you can get amazing deals on Stardock strategy games at Green Man Gaming. It's the highest discounts I've seen on the internets. Get these strategy game hot deals now. Quick hide the children! Lock the doors! Cut those credit cards! The Steam Summer Sale is here and... and... Resistance is futile. Lord Gaben commands us to buy games. Here are the 10 best strategy game deals on the Steam Summer Sale. Forboding. Grim. And balls hard! Darkest Dungeon was one of the best strategy games the year it came out of early access (that was 2016). Using JRPG styled turn-based battles with a tonne of depth added to it, it was and still is sublime! 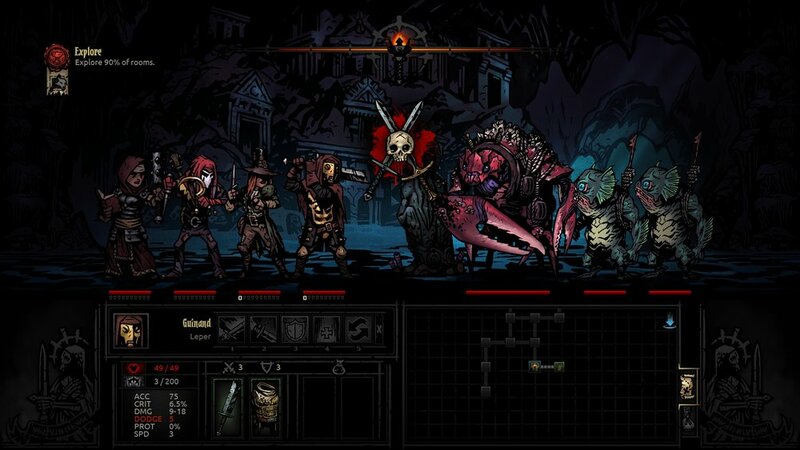 Darkest Dungeon made the heroes in your party, vulnerable. They went mad, had issues, fought each other. When things seemed to get really messed up, a glimmer of hope, the tide of darkness is broken. A glint of light, hope dawns. It does just enough to keep you playing rather than just rage-quitting out from the game. It hooks you with its difficult but rewarding dungeon quests. A must have if you like tactical turn-based RPG/Strategy games. Perhaps one of the most underrated Total War games. With Medieval II Total War, Creative Assembly gave the fans what they wanted. A sequel to Medieval. But Medieval II Total War was a tad bit buggy. Okay, it had more bugs than a bloody rainforest. 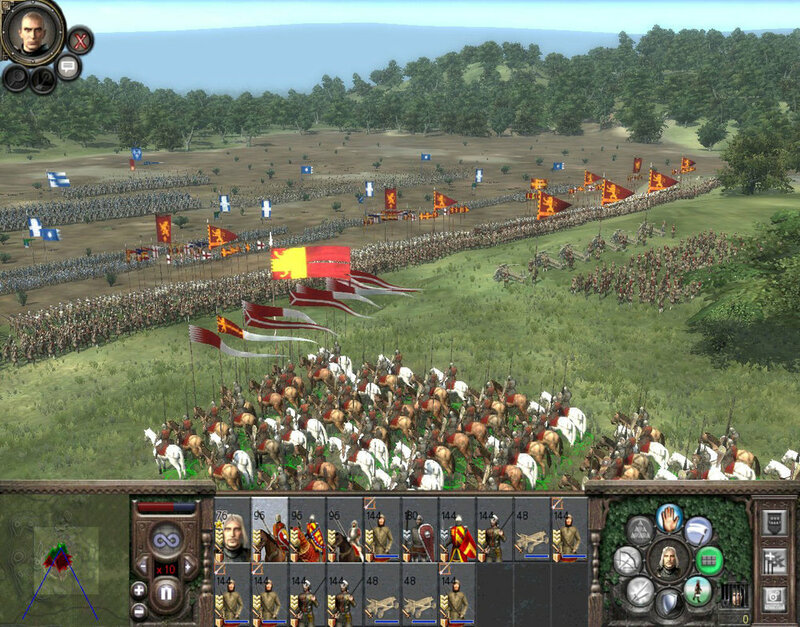 Developed by the Creative Assembly Studio in Australia, Medieval II Total War used the Rome Total War engine to essentially recreate Medieval Total War. It's still a very pretty game. Sometimes I just want a better looking classic game and Medieval II Total War... once it was patched and updated, did just that for me. For those that like to create pretty things. The perfect city, with the perfect transportation system. Utopia. I've had an up and down relationship with Cities: Skylines. When it first came out, it was touted as the panacea to SimCity 2013. Build cities as large as you want. No limitations. Just what the doctor ordered after the disappointing SimCity. But the joys of building your city, at least for me, was short-lived as I found the economic aspect of the game, the strategy layer to be paper thin. It was simply too easy to roll in the cash. Here's where I'm missing the point (I'm clearly well aware of this). Cities Skylines isn't SimCity 4 or SimCity 3000. Cities: Skylines was more concerned about the aesthetics than the bureaucracy of running a city. The magnificent fan creations we see online as a testament to this. Get this if you're the creative type that just wants a landscape to sculpt a city. Another underrated title. When people talk about Age of Empires, they usually reference the first or the second. Age of Empires III is a solid RTS. This is through and through an Ensemble Studios game, so the quality is top notch. It's got an excellent single-player campaign and awesome graphics that look great to this day. This package comes with both the expansions, so you get a tonne of awesome content here for an unbelievable price. Whenever there's a sale, I NEVER Miss an opportunity to recommend Supreme Commander: Forged Alliance. I mean why wouldn't you be playing this already? It's the best RTS in the world! Seriously though, this game is brilliant. From the very first mission, after completing the objective the map opens up to a massive scale. That first moment when you saw that, it was magical for a strategy game nerd like me. It's an RTS gamers dream come true really. A huge number of units, giant titans units, a resource harvesting mechanic that geared you up for continuous unit production, physically simulated projectile attacks that can be blocked, multiple layers of combat. To this day, very few games can recreate this scale. If you don't have this and you love RTS', get this. Skip Supreme Commander and Supreme Commander 2. In my opinion, the best modern Total War game in the historical branch. There's a beauty in its simplicity. The game which preceded it, technically Empire Total War (Napoleon Total War was more of a standalone expansion really), was bloated and unnecessarily complicated on the strategic layer. With Total War: SHOGUN 2, they peeled off the layers of complexity, streamlined things to find the perfect balance of simplicity in design and fun gameplay. The end result is a more focused campaign that was more even and balanced. Even the number of units have been reduced making the tactics of battle more about troop manoeuvres rather than which units you bring to the battlefield. If you fancy the Total War games, give this one a go. This is the best RTS in the world! This time I'm serious. Rise of Nations took what was great about Age of Empires and added a whole lot more depth to the gameplay, adding cities and borders. It also innovated with a dynamic campaign that was much more open-ended than the usual RTS fare that came out at the time (scripted missions were the norm). The reason strategy fans love Rise of Nations is because it mixes the Age of Empires formula of aging up your civilization, Civ-like cities with war-game-like mechanics such as attrition and supply. You'd be hard-pressed to find any other RTS that offers such strategic depth. Just writing about it makes me want to reinstall and replay a campaign. One of the darlings of the strategy genre, Homeworld Remastered Collection is an awesome-looking remake of a fantastic, moody and emotional classic space-based RTS. What sticks out? The harrowing single-player campaign that tells the story of a civilization on the run from danger, looking for their homeworld. A brilliant score punctuates the drama on screen. It's also pretty damn unique for actually making use of the full 3D space. Your ships were not on a flat plane. They could move up or down, giving combat a completely new dynamic. If you haven't played this, you must get this. Even if you have played this, this is such a masterful remaster (no pun intended), it's a joy to revisit Homeworld. There's a tonne of 4X games on Steam. You could say the 4X genre's formula has gotten a little bland and generic. Endless legend blows the f**king competition out of the water. Everything about it is unique. From the non-generic factions. Each of them played differently and followed a different campaign narrative arc. The tactical hex-based combat that took place on the same map. To the harsh challenge of adapting to the seasons. When winter comes, the game almost goes into survival mode. Combat becomes challenging, your cities consume more and you essentially try to wait it out. Get this to experience a super original 4X fantasy game. In my opinion, 2014's game of the year. The soul-crushing moments you experience in this game will make you think differently about video games. 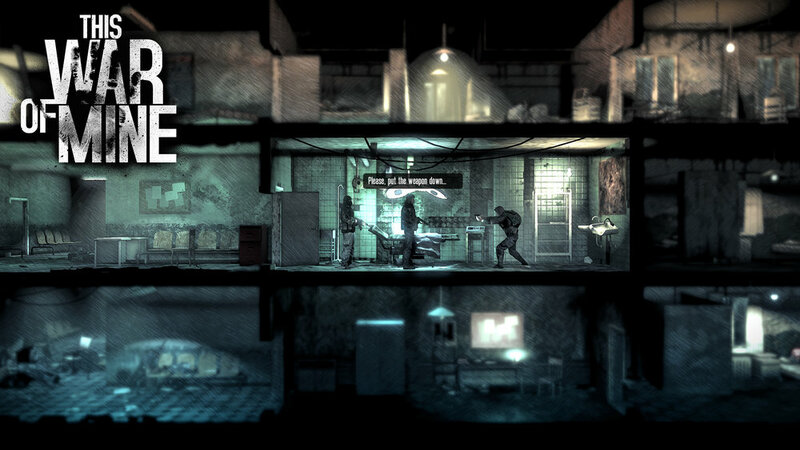 This War of Mine is a Survival Management game which tasks you with managing of a bunch of survivors of an ongiong war. On top of building up their shelter, this also means going out at night to scavenge for resources, medical supplies and food. The people you meet in your nightly scavenging runs, or what you witness can be pretty disturbing and emotional. This is what takes This War of Mine beyond just a strategy game about mechanics. It's going super cheap and I highly recommend you to give it a go. I know there are a lot more strategy games on Steam that are worth picking up during this sale period. So what did you buy? And which games would you say are awesome deals? Tell me in the comments. *This articles makes use of an affiliate link. The revenue from it is used to support and maintain this blog.